Reem Hakeem, an international student from Egypt, is one of three participants in the Global Undergraduate Exchange Program (UGRAD) attending NMU this fall. Reem Hakeem, an international student from Egypt, is one of three participants in the Global Undergraduate Exchange Program (UGRAD) attending NMU this fall. The program is designed to help foster cultural exchanges between students from other countries and American institutions of higher learning. Hakeem is a freshman dentistry major with a minor in history. 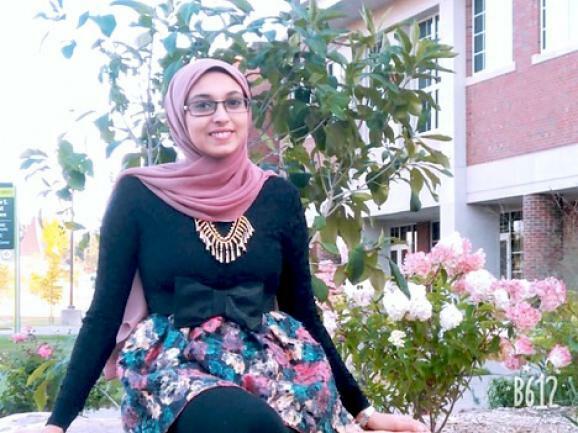 She was selected for the UGRAD program at NMU by a scholarship from the U.S. Department of State back at her university in Egypt. Hakeem said she plans to enjoy some winter activities such as skiing, if possible. Her favorite memories at NMU so far include working with closely with her sociology professor to make sure she understands the material. She recalled a time when the professor asked her for a meeting in her office and she believed she might be in trouble, but it turned out her professor just wanted to commend her hard work and she was relieved. “People here are very helpful and friendly,” Hakeem said. She said she feels like there is a good support system in place for her at NMU until she will return to Egypt to finish her studies and eventually become a dentist. “I’d love it if my professors and my friends here could write some notes about my attitude here,” she said. The International Education Services Office at NMU is collaborating with World Learning, a non-profit organization that focuses on international development, education and exchange programs, to bring students from other nations to campus. This aligns with the university’s strategic focus area of global outreach.